Youth ADP is focused on building a foundation for young athletes. We will run, jump, and compete while having fun. We will teach the fundamentals of sprinting, cutting, jumping, and landing. Science shows long term gains of incorporating multiple movements throughout adolescence. Create a personalized plan with one of our performance coaches. Get the specific training that caters to your exact needs and wants. Private training also offers flexibility in scheduling to fit your schedule. We will use our science and research driven approach to ignite your game. Acquire new skills and attributes that make you a target for college coaches. Become a smarter, faster, stronger, and more refined player. Compete against high level competition on a national stage. Our main objective is to have you playing at your best on Friday nights. All of the members of our coaching staff have collegiate and/or professional playing experience. TNT Track and Field Academy stems around helping young men and women succeed on and off the track. Our goal is to provide the resources each student-athlete needs to succeed as a collegiate athlete. We want to educate our student-athletes through our experiences while guiding them through the recruiting process when the time comes. During our first summer, the Academy produced 36 personal best performances and 10 USATF All-Americans. TNT will customize a training program to your exact needs. Coaches need us to work on specific team weaknesses? Your team will gain speed, agility, strength, power, resiliency, sport specific skills, all while preventing injury. In order to get started with Team Training all you need is six or more athletes. Stay at the peak of your game during Winter and Summer breaks. We will focus on speed, change of direction, conditioning, and strength while optimizing your movement. We will teach you new techniques and methods for recovery and maintenance to ensure you have a successful season and career. 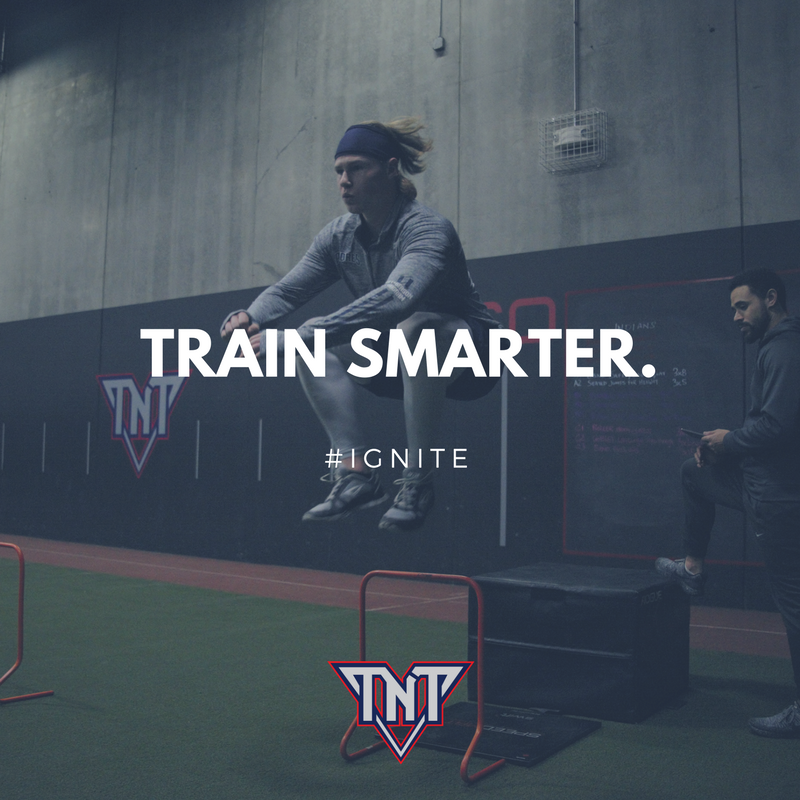 TNT Fit is all about training smarter and providing you with information to live a happy and healthy lifestyle. We provide a positive workout environment and vary our daily routines for constant progression. Our training is designed for all levels regardless of age or experience. Whether you are a beginner or a competitive workout enthusiast, our variations are catered to your specifications.